With a salt pool, you add salt to your pool water. This amount is below the taste threshold meaning you don’t taste a strong salt taste like associated with the ocean. Ocean water is at 50,000 parts per million (PPM) of salt. A salt pool is a mere fraction of this and only has 3,000 PPM of salt. In a salt pool an electrode (also called a salt cell) is installed in your plumbing and as the diluted salt water passes through the cell, the electrical reaction between the electrode and the salt water creates chlorine. So, with a salt pool you are still using chlorine to sanitize your pool as you are just manufacturing your own. The chlorine that is produced by a salt pool is a higher quality of chlorine that does not have the negative effects of traditional chlorine like the chlorine smell, red eyes and itchy skin. With a salt pool you no longer need to purchase chlorine tablets, liquid chlorine or shock as the salt system will be creating all of your chlorine. Salt systems also have a superchlorination feature that acts as shocking your pool. If you’re interested in learning more about salt water pools then I would suggest reading our recent blog post on “What is a Salt Water Pool” which goes into much greater detail on this topic. 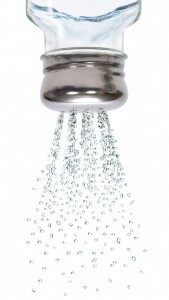 No more buying chlorine – A salt system manufactures natural chlorine. That means no more buying chlorine tablets, shock or liquid chlorine! No more manually adding chlorine – On a salt system you dial in your chlorine production and that is it. This is a major benefit over traditional chlorine where you have to make sure to add your chlorine to the pool each week and if you forget or go on vacation then you are faced with issues. I have to admit this is my favorite benefit of a salt pool. No chlorine smell, red eyes or itchy skin – The negative effects of chlorine like the chlorine smell, red eyes and itchy skin are all due to chloramines. The chlorine that is produced by a salt pool does not have chloramines. This means all of these traditional side effects of chlorine are eliminated. This is the reason why many people who swim in a salt pool think that it is a non-chlorine pool. High pH & calcium build-up – In salt pools the pH level of the water likes to rise. If you don’t keep your pH levels in check then this can lead to calcium scaling in your pool or your salt cell. This is easily maintained by testing your pH levels weekly and adding muriatic acid if you need to lower your pH. Salt cell replacement – Every 3-7 years you will need to replace your salt cell which costs between $200 – $700. More parts – On a salt system there are more parts which can become faulty like the circuit board, salt cell, flow sensor or flow switch. Pool size: Salt systems range from pools 10,000 gallons – 100,000 gallons. You will need to select the system based on your pool size. You can always go with a larger unit on a smaller pool. This will allow you to run the salt system for shorter periods of time and you will have longer time between replacing your salt cell. Budget: Salt Systems can cost anything from $500 – $2,000. The less expensive models have few bells and whistles where the higher end systems have a bunch of fancy features including the ability to control all your pool equipment. Features: Salt systems vary in regards to the features offered. Some of these features include: salt readout, self cleaning, self diagnostics, digital readout and the ability to control pool equipment. Replacement cell cost: This is an important factor and is often overlooked. Your salt cell will need to be replaced every 3-5 years. Replacement salt cells range from $200 – $700. So, if you get a salt system which uses a $200 cell then you could replace this cell 3½ times before it costs as much as replacing the $700 cell. Where to buy: Here you can check out our full line Salt Chlorine Generators we even have a model for in-ground pools starting at $499. Now it is time to decide if you are going to hire a pool company to install the salt system or do it yourself. If you go the pool company route, then you are looking at $300 – $500 for installation. Many homeowners decide to tackle this DIY project themselves as this is usually a 3-6 hour job that can be tackled over the weekend. We have put together a step-by-step video on “How to Install a Salt Chlorine Generator” which would be a good primer to see if you think you can tackle the job. The installation consists of some basic plumbing and electrical work. The first thing you will want to do is check the owner’s manual to determine how much salt you will need. Normally this will be between 400 lbs. – 1,000 lbs. based on the size of your pool. You will want to pick up some pool salt test strips as you don’t want to assume that you are starting at 0 PPM of salt as often your water will have some salt in it (for example you may be starting off at 200 PPM of salt). The salt strip will also be used after you add all of your salt to ensure you are within the 3,000 – 3,5000 PPM salt range. Next you will need to pick up some pool salt. This can be easily found at your local home improvement store, pool store or even grocery store. You will just want to make sure the salt you choose is at least 99.8% NaCl and that it is granular (no pellets or rock salt). Often people get concerned when they hear that they need to add 400 lbs. of salt, but this is just 10 bags of salt (40 lb. bags) and salt costs about $5 per bag so this would be about $50 in salt. Salt does not dissolve from water meaning that you will only need to add additional salt if you experience evaporation, heavy rain, water being splashed out of the pool or a leak. Normally you would add several bags of salt throughout the year to maintain the required salt levels. Now it is time to add the salt to your pool. Your pool pump should be turned on and the salt system should be turned off. You will want to broadcast the salt evenly around the pool for even distribution. Avoid adding the salt directly to the skimmer or main drains at the bottom of the pool as this can damage your equipment. 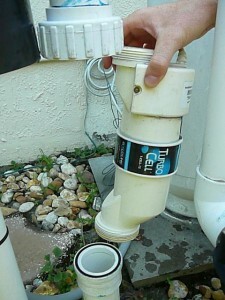 You will run your filter pump for 24 hours to allow for the salt to mix evenly through your pool water. After 24 hours use your salt test strip to verify that you have the correct salt reading of 3,000 – 3,500 PPM of salt. At start up it is best to shock your pool from an outside source like a standard granular pool shock. Then, wait until the chlorine level has returned to between 1 to 3 PPM before turning on the salt system. Now it’s time to kick on your salt system. We suggest setting the system to 50% chlorine production and let the system run for 24 hours. After 24 hours test your pool water with a good test strip to see if your free chlorine is between 1-3 PPM. If your chlorine is too high or too low, dial your chlorine product up or down in 10% increments and retest your chlorine in 24 hours. Repeat this process until the proper chlorine level is reached. The nice thing is that once the salt system is dialed in it is pretty much a set-it-and-forget system, because it is always there producing natural chlorine for your pool at the desired amount to keep your pool crystal clear. Salt systems also have a superchlorinate feature which shocks your pool. So if you ever run into demanding water conditions then this feature comes in handy to shock your pool and get your pool water looking clear again. Now that you have your salt system up and running you will want to periodically test your water to make sure that your water chemistry is in balance with the values listed earlier in this article. Salt cells normally last 3-7 years. To get longer life out of your cell, you will want to follow certain steps. When I built my pool I installed a salt system and I can honestly say it is one of my favorite features of my pool. After the initial set up, I really did not had to worry about my chlorine at all. If you have decided that you want to convert your pool from traditional chlorine to salt then post any questions in the comments below and we would be happy to help. Also if you have already made the switch, we would love to hear about your experience. You can also always reach us by phone at 1-877-372-6038 with any questions. A saltwater pool sounds like something that would require more money and time to maintain, but it would be well worth it. Whenever I swim, the chlorine does quite a bit of damage to my skin and hair. It would be nice to be able to jump in and not worry about that! Hi Stephie, the salt chlorine generator is a hefty investment upfront but what you make up for it in chlorine costs and sweat equity. The salt chlorinator is the last piece of equipment your water goes through before it goes back to the pool. It should be plumbed after your pump, filter, and heater. I bought a 15×48 intex pool. Do I use the filter that comes with it or hook up the salt water filter I. It’s place? There is no saltwater filter, that I know of. To run a saltwater pool, you need a pump, a filter, and the salt chlorine generator itself. Just make sure you have those three things, and you should be set. I’m not sure what the total cost would be because you have to take into account of salt and whether you would need to upgrade to marine-grade railings, and etc to get up to code. But the system required would be at least $9,000. The AutoPilot Pool Pro is going to be your best option for a pool that size. our existing filter is charcoal. Can we convert to saltwater with this type of filtration system? we have been told we have to switch out the filter to DE or sand before we can convert. I do not believe charcoal would pose a problem when you convert to salt. But I would switch away from charcoal anyway because I have read it has trouble trapping inorganic material like lotions, oils, etc. Sand and Cartridge are the easiest to maintain, but DE offers the best water quality. Congratulations on a really clear website and excellent responses to these questions, very helpful. Is there an equivalent to the INTEX 2650 GALL/HR KRYSTAL CLEAR SAND FILTER PUMP WITH SALTWATER SYSTEM for in ground pools? Mine is about 12000 gallons. Hello, and thank you, Ian. Unfortunately, you will not find an all-in-one skid pack for an inground pool. The salt chlorine generator is usually the most expensive thing on the list, but if you are on a budget take a look at the Crystal Pure 20,000 Gallon, it would work great for your application. Also, if you need help sizing a pump and filter, review our inground pool equipment selection series: Pumps & Filters. Do I shock the pool water BEFORE or AFTER I add the bags of salt? I would be shocking it now as it is approaching season, but want to make sure I do this in correct order. Thank you. Jim, it does not matter if you add shock before or after adding salt. They mingle well with one another. Ty for taking the time to post this info. All questions were answered. I may be purchasing a home with a salt water pool. We prefer chlorine. Can you provide information on converting a salt water to chlorine pool? Jen, you do not have to do anything when going from salt to chlorine. Simply remove your salt cell from the plumbing and start adding chlorine. Most systems are good up to 40k or 50k… when you get higher you need multiple cells to accomplish this… it gets costly. For a pool that size you would require a commercial system that has multiple cells. The AutoPilot Pool Pilot Professional is a good place to start. Friends of mine in Florida,want to change there pool over to salt water, Is this a good option for snowbirds ? Yes, salt chlorine generators are a great option for pools in Florida, But, with any type of pool sanitizers it requires maintenance. If they plan on being out of town for long stretches, they will need to pay a maintenance company or have friends dose their pool with water conditioner, add salt or shock the pool every so often to keep the pool water clear. We purchased a home built in 1981 and the pool equipment is quite old. We are replacing everything and are considering converting to salt water. Should we wait to convert until it is time to resurface? I am worried about how long it has been. If the resurfacing is due relatively soon, I would-would hold off adding the SCG until you resurface your pool. This is to avoid the process of adding all your salt and balancing the water, just to purge it all and start anew. Also, if you are replacing everything on the pool, make sure you are adding salt friendly/ marine grade accessories to the list: Diving Boards, Rails, and Lights. Ashley, if you go back up and read through, it gives you a pretty clear idea on how to size it, install it and how to begin maintaining it. But if you would like the short version I suggest a 15-25K AquaRite System, and about 250 pounds of salt, if you are starting at a 0 ppm salinity level. Did you use well water to fill the pool? if so there may be an over-abundance of metals in the water causing this weird kind of reaction. We have a saltwater system how many hours should I have it set for for a pool that is about 9,000 gallons? It depends on the pool’s need for chlorine and the size of the chlorinator. Start by setting the salt system for the same percentage the pool is compared to the max capacity for the chlorinator, i.e. if you have a 9k gallon pool and have a 20k gallon chlorinator, set it to about 45%. I am trying to decide if I want to convert my pool to saltwater, I have a 20,000 to 25,000 gallon pool. I may be over thinking the entire process but from all I have read and seen in product descriptions I do not see any kind of pump just chlorine generators and cells. Do I use my own pump in the conversion process, and what type of system would you recommend for this size of pool. Garry, keep your pump just where it is. You do not need to switch out your pump/filter system when you convert to a saltwater pool. Basically, you will be plumbing in the SCG into your pipe and then pouring salt into your pool, not other equipment needs to be removed or added. For your pool size, I suggest using an upsized salt chlorine generator like the Pentair IC40 or the AquaRite 40K so it can more easily maintain the chlorine levels in your pool, without straining the cell. Hi there, I too have a 20k gallon pool. So the equipment you are referencing is the ONLY equipment needed to switch over? I am trying to determine cost of switching over. Thanks! As I have stated in my previous comments on the subject, if you have exposed metals like railings or ladders you need to make sure they are marine grade or “salt-friendly”. If the metal components are not salt friendly, then you will either need to replace them or install a sacrificial zinc anode. If you have a heater with a copper heat exchanger, you will need to replace that with a heater with a cupro-nickel one. If you have a real old stainless steel tank filter, then you should upgrade to the fiberglass/noryl type. Also a heavy duty saltwater shaft seal may be a good idea for ensuring the longevity of your pool pump motor. I am new to pools, however purchased a home with one and looking forward to using it. It was a foreclosed home so I am assuming it was chlorine before, and the pump is no good. We are hoping to do salt water, we live in Missouri. Any reccomendations on a pump and salt system to use? Our recommendations will depend on the size of your pool and whether it is an inground or above ground pool. Do you have that info handy? I am not Kim but I also live in Missouri. I have a above ground pool about 15,000 gallons. I also want to know if I should replace my pump ( it is wired into a timer panel) and if so, what do you recommend. Also, what do we need to know about taking care of the water during the freezing or snow weather. Just because you are installing a salt chlorine generator does not mean you have to replace a perfectly good pump. If the pump is still working then all you have to do is install a salt chlorine generator by following the instructions listed in the above guide. We are wanting to convert our 4 foot by 27 round above ground pool to salt. What all equipment would we need to buy to do this. Is there a kit or something that you can buy..
Sharon, if you already have a pump/filter system then all you need is the salt chlorine generator and the salt. I suggest the Hayward AquaTrol Above Ground Salt Chlorine Generator because they seem to be the most solidly built of the A/G generators. Hello, We just purchased a Summer Escapes 18 X 48 metal frame pool. Can you help us determine what size saltwater system we should purchase? Thank you! Jennifer, I believe the Summer Escape is a soft sided Intex pool. Unfortunately, the salt chlorine generators we offer would not be compatible with their pump system’s plumbing or be secured to its top railing. Hi Jennifer, Mattew is right, you cannot use a normal saltwater system that is made for inground pools for above ground pools. 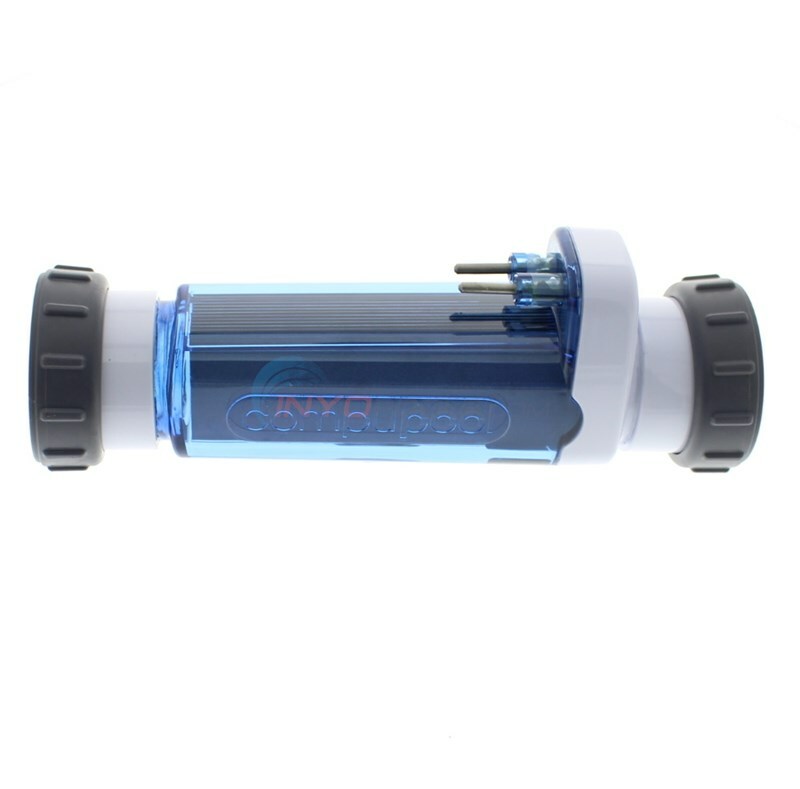 However Intex does make a saltwater system for above ground pools.The system will connect to the filter pump that came with the pool(may require adapters depending on hose size). You can find the system(on amazon) for approx $117.00 for a 15000 gallon pool.Although there is a version for 7000 gallon pools which is $7 dollars less, it is recommended to get the one for 15000 gallon pools as the system itself will clean the pool faster while running for shorter periods of time .The only requirement is that the filter pump that you will be using will have to have to be between a 700-3000 gph pump. For best results i recommend using an intex sand filter with this system.If you do so, you will not have to use the pump that came with the pool and there will be no filter cartridges to be replaced. Hope this helps!! In my experience, those Intex salt chlorine generators are not overly reliable in the long term. That is why we normally suggest the Chlorease or the AquaTrol. This is Susan have save new pump I see I do not need to take off to change to salt . Have a 26,000 gallon pool what do I need to convert easily. Hello Diane, I see we keep getting this sizing question, so I’ll just post this video we did here. This poolside chat gives you the basics on how to size a salt chlorine generator. If I wanted a salt generator for a pool that size I would choose something simple and inexpensive like the Chlorease ultra. Your pool is too small to warrant something costly like an AquaTrol. The Chlorease should do the trick. I’ve been thinking for sometime about converting my 24′ round, 30,000 gallon above ground pool to salt. Can you give me a ballpark figure on the cost of this. My filter and sand tank are relatively new and work like new. Thanks in advance for your response. Carlos, how deep is your pool? I ask because the 30,000-gallon estimate seems high for an above ground pool. Going by calculations on Pentair’s Pool Volume Calculator, a pool of that shape with a 5-foot depth is a little under 17,000 gallons. Let me know the depth and I can give you an idea which SCG is required. does the chlorine pool water need to be drained out & fresh put in to change over to salt? There is no need to drain your pool when converting your pool to saltwater. The residual tablet/liquid chlorine does not affect your salt cell. Hi. Currently all of our levels in our pool are perfect, but we want to convert to saltwater. 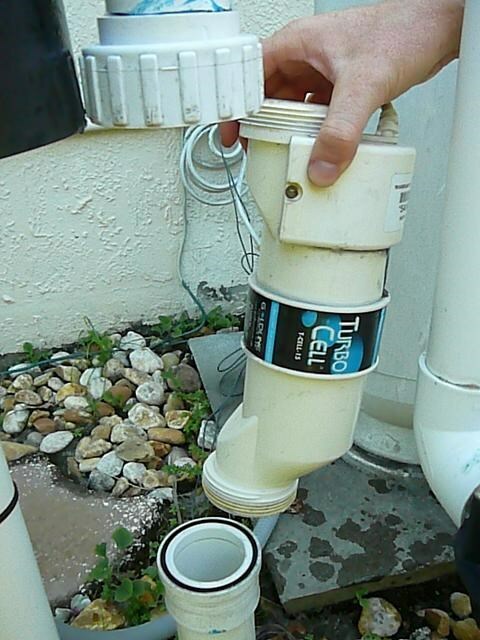 we have the salt water system attached to our existing filter and have purchased the salt. However, we have no idea what our next step is, help!!! We are buying a home that has an existing pool. Over 4 years ago it was converted to a salt water pool. Almost two years ago it was converted back to chlorine. What do we need to do to make this inground pool salt water ready? Thanks! As the blog says, you install the generator, add salt and apply the necessary stabilizers. There is no “special” work done unless you have non-marine grade railings or steps. In that case, I would suggest a sacrificial zinc anode to help prevent rusting. yes, but the instructions for salt are based on a freshly filled pool. if chlorine levels are already perfect from the chemicals, then how much salt do we add? Or if you want a salt calculator, try PoolMath from Trouble Free Pools. This zinc anode would not help sustain the life of a heater, correct? We have a new heater so replacing it is not an option. TY. If the liner is doing its job then the water shouldn’t come into contact with the pool walls. But if you want to play it on the safe side you can add a sacrificial zinc anode. We even did a PoolSide Chat on the subject of zinc anodes, take a look. My pool has a liner…. How will the salt react with the liner? Salt water should not adversely affect your inground pool’s liner. Matthew: I have a heat pump for my chlorine pool. If I convert to salt, do I need to worry about damaging the heat pump? Thanks. Nowadays, heat pumps have titanium heat exchangers, so corrosion shouldn’t be a concern. 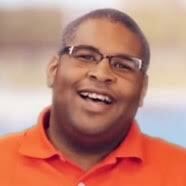 Matthew, can you comment on using the pool salt available from the big box stores vs. that found at 3x more at local pool stores? 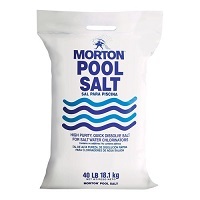 My local store charges $30+ for a 40lb bag, whereas I can get pool salt at Home Depot for $7-11 a 40# bag. Both salt quality is 98% or better quality. FYI: Just purchased your aquarite 40k salt generator and am eager to get salinated!! In my experience, salt is salt. Buy the less expensive stuff. I have a new Summer waves 18′ x 48′ pool with the pump hanging from the side of the pool. How do I convert that to use my Krystal clear salt water system? Where can I get conversion parts? We have above ground pool, does it work the same way as an in ground pool as far as converting it to the salt water??? Kelli, it is pretty much the same but make sure your pool is either resin or a Hybrid (a combination of steel and resin parts.) Because salt will quicken the rusting process of steel. Our pool is a Coleman 18’ round that we take down every year. Would a salt system be ok to use? If it is a steel pool, I would not convert to salt. You mentioned muriatic acid. Is that used with an inground vinyl liner? Yes, muriatic acid can be used on vinyl, fiberglas, and gunite pools. Be sure to dilute the acid in a bucket before adding it to your pool; the formula is 4 parts acid – 1 part water. We have an above ground intex pool 18 ft x 48 in with an intex krystal clear sand filter pump and an intex Krystal clear salt water system, they are 1 year old and seem to be working fine. We added the salt and shock and everything was fine till we had a week of heavy rain. The pool overflowed and had to add more salt then it was too high so we drained 20% and refilled the pool. Now I can’t seem to get a chlorine reading at all. We added salt, added shock and even liquid chlorine, but within a couple days still no chlorine again. Both systems seem to be fine, no corrosion, no codes popping up on the salt water system. What am I doing wrong? Please help! Any suggestion is welcome, thank you! Switching to a sand filter will no be an issue. What is the model number of your current filter so I can figure out something with similar flow rates. Also, do you have any space restrictions on your equipment pad? We are purchasing a house with an existing 28,000 gallon concrete pool and want to convert it to saltwater. What is the best system to use and does it matter that it’s a concrete painted pool? Hello I just purchased Bestway 15 x 36 Steel Pro Frame Above Ground Swimming Pool Set and was wondering what saltwater system should be used on this pool. Looking to see if there is any saltwater system that can be used for a 26′ Round ultra frame intex pool (approx. 15,000 gallons)? I purchased the Saltwater System from intex – model CS15110 and less than 2 years later, the pump is not working. (1 month after warranty expires) I have read review after review that everyone has issues with the intex saltwater system after 1-2 years and I really do not want to go back to that system. Is there a saltwater system that you would recommend for the intex pool that is not an intex brand? I feel like purchasing another intex system is like throwing money to the wind. I saw in prior comments that you suggested the Chlorease or the AquaTrol but haven’t seen very many good reviews on those either after 1 year use. I didn’t know if it is possible to use a more expensive saltwater system on the intex or not. I would not mind spending the extra money to get a good system because in the long run after spending $150 each year for a system, it would be worth it. Thanks for any info. Brandy, there is always the option of installing an inground salt system on your pool; but, there arises the issue of plumbing. Inground salt systems are meant for PVC hard pipe and not the standard flex hose. If you wanted to go through the process of plumbing PVC, then I suggest the Pentair IntelliChlor or the Crystal Pure Salt System. I have an above ground pool that’s 16×32 15,000 gallons with a pump and filter what all do I need to transfer it to a salt water pool? Can you make a recommendation? I think it’s sad that people can’t take the time to read this article before posting a comment asking for help. If the answer is not right there in the article, it’s in the links posted. This is the most comprehensive article I’ve seen on the topic, and I appreciate the time it took to be so thorough. Thanks for the information, it answered all my questions because I took the time to read and watch. I have a 2000 gallon swim spa. I would like to convert it to a salt water sytem. What system would be best? And is this a good move on a swim spa? Follow the sizing directions as specified in the article for finding the correct model. Since this is a spa I presume, there is some sort of heating element in the system. If so you need to determine the metal of the heat exchanger or heating element; if it is copper, avoid going with salt because it will rot the metal. Only switch to salt if you have/or planning to chance to a cupro-nickel or another salt friendly metal. Filter choice is a combination of personal preference and the demands of your region. Sand is much easier to maintain than a DE filter, but the DE filter destroys sand in water clarity comparisons. Some people can swear they can tell the difference between the feel of a sand filter pool and a DE, but I myself can’t. But one is not better or worse for salt chlorine generators. We’re thinking of buying a home in South Florida which has an inground gunite pool. Not sure if it is chlorine or salt but assuming chlorine…can this type of pool (gunite inground) be safely converted to salt water system or am I just asking for trouble vis-a-vis disintegration of the pool by salt? Hi. I’ve been reading your articles and watching your informational videos. I just want to say thank you very much for sharing all this useful information! We’re new to pool ownership, so it is very helpful! Thank you, Sasha & Sonja! ? If I switch to saltwater will I never have to backwash my filter? I definitely don’t want my landscaping and soil to be damaged by salt water. The saltwater generation is just for chlorination; you will still need to clean your filter just as often as you would with standard chlorine. I suggest routing the backwash pipe to a drain away from any trees or soil to avoid salt buildup. I’m not familiar with those Intex products, you may want to try the troubleshooting guide in their owner’s manual or contact the manufacturer. Considering converting my salt pool back to chlorine tablets. What do I do with the 20,000 gallons of salt water? Also, Is it true that salt water damages the deck and coping over time? Thanks! There is no need to purge the water; the salt will not affect the chlorine tablets. To switch from salt to standard chlorine, remove the salt cell and add in a tablet feeder; and, you’re done. Would you recommend using something like a Hayward CL200 in-line or off-line, or something equivalent? The Hayward CL200 or CL220 would work great, installation is pretty simple for either option. Another option to look at is the Rainbow Chlorinator Series. Do you have a personal preference, chlorine generator or tablet feeder? I understand the CYA and PH maintenance implications of each. I currently have a generator and I’m just tired of replacing electronics and sensors, cleaning cells, etc. Looking for an easier option. Both seem to cost about the same. Would be nice not to feed my pool acid every week. Oh, then there’s the feeder available for that too…. where does it all end. Would you mind sharing why you have decided to move back to a Chlorine pool from the Salt Water ? I am setting up at 22′ x 52″ oval about ground pool. Would like to use the saltwater method instead of chlorine. I understand it means I need to purchase a new saltwater pump but do the hoses that came with the pool work with the saltwater pump as well as a chlorine pump? I am trying to figure out what I need to get to get a saltwater system up and running. Is there a good written source that would answer my questions. The hoses that came with the pool should work just fine with either a chlorine or salt water application. As for written guide on how to convert a pool to saltwater, look no further than the one we are commenting on currently. Read through the article, we provide links and guides on all the major steps for converting your pool. Hi, we are thinking to convert the pool to salt water system. Could you please recommend any? I read the article the run from about 400 to 2,000 but could you please tell me what would be two or three you would consider to get if it was your pool ?? Thank you in advance for all the info and taking the time to answer! The two salt chlorine generators that offer the best bang for your buck would be the Hayward AquaRite and the Pentair IntelliChlor. You really cannot go wrong by choosing either one of them. Use the guidance in this article or this one, How to Size a Salt Chlorine Generator for My Pool for help with sizing the generator for your pool. No need to drain, you will just add the salt and level the water chemistry as instructed in the guide. I am considering making the switch to salt water next season. Do I need to do anything special to prepare for the change when closing the pool this year? Does a salt water pool require tile or is a vinyl liner OK? Close your pool as usual; there is no special winterization procedure. Salt water can be used in any of the common pool surfaces without a problem: i.e. tile, Pebbletec, vinyl, fiberglas, plaster or gunite. We are looking to purchase a home that has a 25,000 gallon in ground stainless side pool with a plaster bottom. It is currently chlorine but I have always felt salt water is better for my kiddos. The research I’ve done online says that the salt would not be good for plaster bottom? What do you know about that? I have the salt chlorinator install but I don’t have the electrical box set up for monitoring and controlling the chlorinator. I want to get the salt into the pool and start dissolving. what happens if I don’t get the chlorinator hooked up for a week after I have dumped the 10 bags of salt. Is it okay to keep swimming in the pool and will I just need to add more salt if I don’t have the 3,000 PPM. Won’t all the salt just eventually evaporate/go away and I would just need to add more salt once I have the chlorinator? It is ok to swim in the salt water, but if your salt system is not operational you will need to sanitize your pool via chlorine tablets or liquid chlorine in the meantime. Salt does not evaporate from your pool, but will be lowered over time because swimmers take a little when they exit the pool, splash and from filter backwashing. I have about a 20K gallon, in ground, fiberglass Chlorine pool that I’d like to convert to a salt system. If using a salt cell, Will I still have to use the same amount of algaecide, shock and other chemicals to control algae? Thanks. If the cell is working properly, you do not need to add algaecide or shock regularly. As long as the cell is producing chlorine and you keep the pH, alkalinity and calcium hardness in check, algae will not stand a chance in your pool. The main chemical you will need is water conditioner. Most homeowners I have spoken with have seen a significant drop in their chemical budget. I’ve had both, currently have chlorine and REALLY miss the salt pool we used to have. Water chemistry was much easier to maintain, much more stable, didn’t have the peaks and valleys from week to week. Only had to add about 5 bags of salt over the course of the year. It was a 12,000 gallon pool. I really can’t wait to covert our current pool over. I’m experiencing the itchy/dry skin right now from the chlorine. I do have a question, my DE filter says not for salt water system. A friend told me I just need to change my screens in the filter, what do you suggest? Thanks for a great article. What is the make and model of your pool? Is it stainless steel? In ground concrete pool. Not sure of finish, was built 9 years ago. All visible plumbing is pvc and none of the DE filter is stainless. Which is Pentair FNSP 36. Without a doubt, I would use a salt chlorine generator over traditional chlorine. Pools are meant for fun and enjoyment, not fiddling with chemical test strips every other day. Salt make the chore of maintaining a pool a lot simpler for the average user, who may not be comfortable with the pool chemical gymnastics required when a traditional chlorine pool gets out of whack. As for estimating total cost over the year, that is hard to say. The cost can range from 200-350 for traditional chlorine depending how long your season lasts. There is a useful operational cost calculators on HomeAdvisor. Thank you for that feedback – much appreciate and appreciate all of the useful information you’ve provided throughout this blog stream. Glad to help, have a nice weekend. I am considering switching to a Salt Water Pool. My pool is about 40 years old inground gunite 23,000 gallon pool. Do I need to be concerned about the stainless steel filter or the underground plumbing (probably not PVC) that may be damaged after converting to salt water system? That is going to be rough, I suggest not switching unless you plan on replacing the filter and the pipes. There is always the addition of a Zinc Anode to prevent rusting but, to place it on the safe side I would stick with chlorine. We have a 26 year old gunnite pool and, due to some cracks, We’re having the gunnite cracks repaired, then a fiberglass spray over the the entire pool. I would appreciate your comments, positive or negative, on this type of resurfacing. Would this resurfacing affect conversion to the salt system at a later date? First, I have to say this is the best Q&A website I have ever seen. You are fantastic! Question. I just converted to salt and the company did not educate me about how to care for the pool so I’m floundering here. Before I converted, I had a problem with the pool not registering chlorine and therefore, algae. I was told salt conversion would handle it. I have the AquaRite 940 on 3,600 output and I’m still getting algae. I used my test strips (haven’t had a chance to get the salt water type but figure it should read the same, no?) and still no chlorine is registering. I cleaned the pool, put the filter on and within an hour, there’s that sandy stuff back on the floor of the pool. Filter was cleaned last July and the pool is hardly used so I can’t image it is that. Any idea please on why algae is still forming? BTW, I live in New Jersey. Angela, I apologize I thought I answered this question last week. So sorry! Have you had the water tested by a local pool company? If so, please provide the readings for the Chlorine, pH, Total Alkalinity, and Hardness. Do you have a sand, DE or cartridge filter? Hi Matthew, on salt pools, do you use the same backwashing process? If so, this must be where you need to add salt? Backwashing is still needed I would imagine? Yes, the same backwashing process would apply; salt would be added as necessary. The SCG’s control panel should give you the current salt readings to let you know when to up the salt. we are looking to convert our above ground pool. will the pool deal with salt water as far as corrosion is concerned? and the only thing I need is a chlorine generator. does that mean when the cells are dead, I have to by this entire unit again ? it appears not.. it seems I can replace the cell but that is 500+? I have a vinyl liner pool. Can I convert to salt water? Also We live in upstate NY. what are the seasonal pool closing differences? Yes, you can use a salt chlorine generator on a vinyl pool. Winterization can be as simple as removing the cell and installing in a dummy cell in the winter months. I am not that familiar with Intex pool equipment, I have heard good and bad things about their products. If I were you, I’d cruise the reviews over a few sites to determine if it quality or not. But if you are looking for a quality salt chlorine generator I suggest looking at the ChlorEase or AquaTrol units, both have proven to be solid. Of the two, I would go with the AquaTrol because the control box and the cell are one of the best you will find on an above ground salt generator. Do you have plumbing parts for connecting an AquaTrol unit to the Intex pipes? What size are the Intex pool pipes? Great resource for just about any question. We just bought house with an 8000 gallon in ground pool. With heater and salt system, but when vacant, it was maintained as a well-balanced chlorine pool. It uses an aquarite generator and the inspect cell light is on which according to a manual I found online means we might have to replace the cell. My question is, is the “inspect cell” light accurate with no salt in the water? Do I need to add salt then check again? Also, the manual talks about needing cyanuric acid as stabilizer. What’s the reason behind that? If there is no salt in the pool then your cell may be thinking there is fault causing the control box to show an alert. Take a sample of your water for to get a free water test a local pool store then post the results. We need to get an accurate reading of your pool’s chemistry levels including its salinity to get an idea what needs to be done. Cyanuric acid or water conditioner prevents your chlorine from being burned off by sunlight; essentially it is sunscreen for chlorine. Liquid and tab form chlorine has stabiliser built into the solution but the chlorine made by salt cells does not, making it necessary for it to be added to the water. There is no salt in the pool. Had it tested. Everything was good. The salt was 0, alkalinity was a little high so I got some chemicals to lower it. The real question is will the salt cell diagnostic light saying “inspect cell” be accurate with 0 salt content? Is there a way to find out if my cell is bad without dumping my salt in the pool? Ok, I think the real question is, why have a salt cell if you do not want to put salt in the pool? Of course, the cell is going to read an error if the thing that it requires the most is not present. Your pool is like a bland soup, just add salt. Also, how are you sanitizing your pool? We just moved into it and while vacant it was established as a chlorine pool. We have all the equipment for a saltwater pool, I just wanted to be sure the salt cell actually worked before dumping in the salt. Sounds like I won’t know until I dump the salt in. Next issue is that we have outdated timers hooked up for pump and saltwater cell operation. Sounds like we might need to hire an electrician to come in and rewire them so that the cell shuts down when the pump does. Do you have any information concerning how to get those systems hooked up? I have a 20×40 inground pool with a vinyl liner. Thinking about converting to salt water in the spring. Live in Illinois. 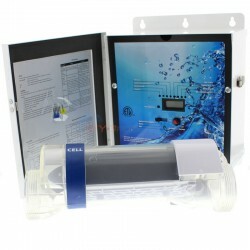 What size salt water cell will I need? To play it safe I would go with one of the 40K gallon models like the Pentair Intellichlor IC40 or the Aquarite 40K. I live in upstate New York and was thinking of converting to a salt pool next spring. I have a 25K gallon pool that has a baquacil sanitation system. I have been running baquacil for a lot of years and was wondering what it would involve to convert to salt? Would I have to empty out all the water to do this or is there a way to do it without having to empty all the water out? I have a sand filter with a 1hp pump. Thanks for any advice you can offer. We have yet to cover this subject but with a quick search, I found a blogger who has: Tired of Bacquacil? Switch to a Salt Chlorinator! A pool of that size would require a commercial salt chlorinator. Your best bet would be the AutoPilot Professional 4-Cell system (or higher). If you have high bather loads then you should look into the 5 or 6 cell unit. I just switched to a salt chlorination system (Hayward Salt and Swim Pro). To test salt water PH and chlorine level can I use the same test kits as the one used for regular water? Also, to adjust PH up or down can I use the PH Up or PH Down powders usually sold on megastores? Thanks, Ronald. If you need to test chlorine, pH, and alkalinity levels just your standard test strips will do fine. If you want a more accurate reading of your water chemistry, I suggest using chemical reagent kits like the ones produced by TF Test Kits. To test salt levels you will need to make sure to buy a salt specific test kit. Yes, you can use standard pH Up or Down to adjust the level in a saltwater pool. I just parchase a new home with an L Shape chlorine pool. It was in really bad condition so i bad to get a new filter, pipes and next year I have to replace the lining as well. I had a difficult time keeping up with it so I was contemplating to change it to salt water. Your blog help me a lot and I decided to go for it. I am going to hire a company to do it but I wanted your guidance on the type of equipment I should get. My pool is in ground 40,000 gallons. Joss – if your pool is at the 40K gallon mark, the best route would be the Pentair IntelliChlor IC60. most units only go up to about the 40K gallon range, but those models would need to work near 100 percent of the time to maintain chlorine levels. Always oversize salt chlorine generators. Also to confirm you have a 40K pool can you use this pool volume calculator? Because your pool is an L-shape, break your pool into 2 rectangles. I have a 7 year old chlorine pool with all Pentaire equipment, Pentaire DE filter, and Pentair Mastertemp 400 heater, Pentarire VS-3050 pumps, etc. Will converting to salt hurt the Master Temp heater? Our builder mistakenly installed our pool with the old chlorine system when we had purchased a salt water system. We were told, don’t worry its a simple correction. Are they right? Yes, it is. Besides adding the salt, the builder will come out, cut out the chlorinator, and plumb in the salt cell and mount the control box. Total work time might take about an hour for that. Awesome article. Is it required to drain the water once a year or not? If you install the Acid Pump, would that help with the calcium build up and prevent this? Great article. My pool has black porcelain around it. I am concerned with stains from the salt left behind from evaporated pool-water that swimmers drip on the floor around the pool and from wet feet-tracks around the house. Is the concentration enough to be a problem? Evening, just had a pool installed with a salt system, how long before I can switch over to salt from chlorine? Hi AJ, If your pool is a gunite pool you will want to wait 30 days after the interior finish is applied before you add salt or run your salt chlorine generator. The reason for this is that during the first 30 days of a new pool finish is when the plaster is still curing and the interior finish is most susceptible to scaling or staining. After 30 days you are all set to add salt and start up your salt chlorine generator. Aloha, I’ve recently purchased a home with a 30,000 gallon gunite pool that is in dire need of resurfacing. I’ve read your comment about waiting 30 days after the resurfacing to add salt. Which chlorine generator would be best for my pool, and can the cell be mounted vertically, or must it be horizontal? Aloha again, is it necessary to maintain cyanuric acid levels within a certain range with a salt water pool? Yes, you must maintain CYA levels in a pool, and especially in a saltwater pool. CYA protects your chlorine from being burned off by sunlight. Tablet and liquid chlorine come with CYA pre-mixed in the formula, the chlorine created by salt chlorine generators is pure chlorine with zero CYA. The only way to maintain your chlorine levels in safe proportions is to have proper levels of CYA. How does a salt system affect the type of finish of a pool? I’m interested to know if the salt cuts the life of a plastered pool faster than a pebbletec or pebblefina finish for example. I would like to convert my chlorine system to a saltwater but worry that the current plaster in the pool won’t hold up for long as I would hate to not just have to replace the salt cell but also have to re-plaster my pool more often. Saltwater should only affect new plaster. This is why installers who have installed new plaster will wait 30-60 days before adding salt to the pool. Improper water chemistry is more likely to cause damage to plaster than the simple addition of salt. I am so thankful I stumbled across this article. You rock!! Concise, detailed descriptions, quick responses. Thank you for the effort you have put into it. New to pools and Very confused. Im Buying a forclosed home. It Has a pool about 5000 gallOns. Not sure what model/ kind of pump/ system it has. Im just assuming it was chlorine also. To convert to salt I would need just the salt chlorination cell? Or I need some type of system to go along with the cell? Does this stuff replace any existing pool hardware or attaches to the current hardware? Is a 15000 system overkill? I know nothing about pools but I am somewhat handy, is this a job I can take on myself? The4 first step would be to look at your pool system to figure out what is there. Secondly, a salt generator system requires the control box, the cell, and the flow switch (sometimes the flow is built into the cell.) The salt generator replaces any other sanitation hardware like a chlorinator, ozonator, or ultraviolet. You want to oversize the cell because it allows the cell to work less, therefore making it last longer. If we have a Pentair Superflo VS, can we control power to the Salt System? So that it turns on and off with the auto timer on the pump? Thanks for a great, thorough article. I’ve had a salt system since I first bought my pool 10 years ago. I had to replace the salt cell two years ago ($420), and the installer of the new one said the same as the article – he recommended a more powerful cell to be run at a lower rate, making the cell last longer. Friends just bought a house with an older pool and I’ve sung the praises of a salt system to them. I’m forwarding the article to them to help explain the whole thing. There’s nothing I don’t like about my salt system! We would suggest the PureLine Crystal Pure 20,000 Gallon Salt System PL7701 as a great salt system for a 24′ Round Above Ground Pool. Hello! 🙂 I’m about to get a new pool liner installed and have been contemplating converting to a salt system. A couple questions. 1) is it less harsh on the liners longevity? 2) what is the average cost to get it set up for a 17,000 gal pool? Can I convert to salt with an inground vinyl liner? Yes, you can. 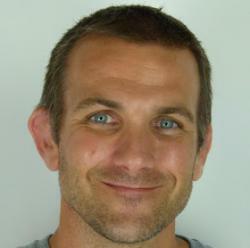 The process is the same as the method Patrick outlines in the article. Hi, I have an in-ground 35,000 gallon pool. We are in the process of having the liner replaced so thought this might be a good time to convert to salt water. We have a Hayward sand filter. I’m trying to figure out what all we need to purchase so we can weigh our options. So far, I’m thinking we need a salt water generator, salt cell, zinc anode, & salt water test strips. Am I missing anything?? I was looking a SAS generator but then I realized it only goes up to 30,000 gallons. The pool company that’s installing the liner said they have an Aqua-Rite system. Any suggestions? Hayward Aquarite and Pentair Intellichlor systems are good models by the big name brands. We also suggest the Pureline Crystal Pure 40K. I have a Sta-Rite 196250 motor with my PHK2RA6F pool pump. When I replace my motor, is there a special seal kit for salt water? If I am to switch, what is the kit I should use and what is the difference between a chlorine kit and a salt kit? The main seal you need to replace is the shaft seal. For your Sta-Rite Super Max pump, the salt water shaft seal is the part number PS-3687. Unfortunately, the Super Max does not have a gasket kit package available for it, but you can check your seals for appearing dry, warped or cracked. The main difference between a chlorine and saltwater kit is the shaft seal. Hi. I’m About to close on a home that has a medium size above ground pool. I’ve never had one before. The pool is about half full and it looks like a swamp. I don’t know anything about it right now, as far as what kind of pump/ system it has. And I’m just assuming it was chlorine as well. My first question is do I clean the water that’s in there now or do I empty out the pool completely replace it? I heard emptying a pool can do damage to the liner somehow. Also, something to keep in mind is I plan on making this a salt water pool ( if its not already). We close on the house this week and I can investigate the pool more and take some pics etc. Any information is greatly appreciated. No, you do not empty the pool, you simply add salt to the existing pool water. I have an intex 15’x48″ pool I am just setting up. Our well water has a lot of iron bacteria. I am wanting to put in a salt water system. Am I able to use iron out or any other products to help clear up the green/brown water before or during use of the sat water system? Will the system itself clear it out? I don’t know what to do to get rid of it! I just built a polyfil filter with a 5 gallon bucket as I’ve heard that will filter out all the iron eventually. I havnt had it running long enough to see if it will work yet. But curious in what additives are ok to use with the salt water system. Thank you Patrick for all of your comments. What is the cost, more or less, for all the equipment to convert to salt water? labor and equipment. My pool is rather large. Feel free to take at Inyo’s Salt Chlorine Generator section. Cost of labor varies on the area of the country. But you can usually call local installers to get an over the phone quote. I have just finished filling my above ground pool with water from the hose for the first time. Do I need to first get all levels to the appropriate levels and then add salt? or do I add salt and adjust off of that? This is my first pool and decided to go with a salt water system. I have the round, above ground Summer Escapes 10ft diameter by 30 inches deep pool from Walmart that comes with its own filter pump. I would like to make it saltwater. I just get so confused figuring out WHAT I need to buy. Could someone give me a shopping list of what I need to make it happen? Your wisdom is greatly appreciated! Hi, I’m using a salt water system in my 3K gallon pool. The pH and Chlorine levels are fine but my ALkaliity level is very low. Im have a lot of algea build up. what do you recommend that i do? Your question outlines what you need to do: up your alkalinity. There is a pool chemical that is aptly named Alkalinity Increaser, that should do the trick. We have a very small pool. It’s 12X12 with an average depth of 4 feet. We have been thinking of converting to salt water, but I’m a little confused by your answers to some of the questions above. In one you say that the salt converter is plumbed after the heater, filter, and pump. In another you say there is no filter. My question is, in conversion, will we remove the Hayward filter that is on the pool and put the salt converter in? Or do we still need a filter? In the above comments, I reply to a few people saying they want to get rid of their filter to put into their “saltwater filter.” A saltwater filter is not a thing. Saltwater generators are sanitation machines, and filters are meant to sieve the water for dirt debris. A cartridge, DE, and sand filter can be used on a pool with traditional chlorine or a saltwater generator. So you will not be removing your filter to install a saltwater generator. A pool needs both a filter and a sanitizer to be healthy. We currently pay for a pool service and I came home to find a chlorine float in the pool. Service owner said the tablets corroded the equipment and this is the only alternative. We never ever fight and this was a big one! If we convert to salt, will we still need the weekly pool service? They don’t do anything other than clean the baskets and check the chemical levels as far as I know. I just ordered an Intex easy set up pool. (approx 3,800 gal) I live in the high desert in Southern California. I wanted to weigh the options and if it would be economical to set it up as a salt pool. To correct the article…salt does not evaporate with water, so the only salt that needs to be replaced is from splashing, spills, and chlorine generation. Salt = sodium chloride, sodium chloride gets split into sodium and chlorine, which reduces the amount of sodium chloride. Theoretically, with no spillage, adding salt should be pretty infrequent. I see that with salt pools metal parts are a concern. We have a metal ladder that will likely need to be replaced. The mounting piece for the light in the pool is metal also. Will we need to replace that as well? Yes, vinyl, fiberglass, and concrete are suitable for saltwater applications. We have a chlorine pool in Florida. We are considering converting it to salt. One question I have is about a bug that we get in our pool called “boatmen”. We have good chlorine and pH levels, but we can’t seem to get rid of them. Do you know if they also live in salt-based pools? Thank you, sir. Water bugs, or boatman bugs, feed on algae, mosquito larvae, and other biological matter. You can try shocking your pool, with a little preventative algaecide to kill any straggling algae. Then hit your pool with some flocculant or Pool First Aid to round up any lingering bio material the bugs can feed on. i have a saltwater pool and my pump said i was at 90% or so in salt. it said it was low how much of the salt bag do i put back in. I’m a little confused by what is going on but I’m going to give it a shot. Your salt chlorinator is stating that your salt level 10% below where it should be? If so, the amount of salt needed to get it to required levels is determined by the desired ppm level and pool gallons. Your chlorinator’s manual should have come with a salt chart that gives the necessary dosages of salt for most applications. Try to find your chlorinator’s manual online if you do not have the hard copy. Hi we just bought a quick set 16ft above the ground pool. This is our second one. It does have some metal poles . My first question i see was answered. We have a sand pump ( we bought a bigger one). My question now is do we keep the sand or do we switch it with salt. I looks like we keep the sand and we have to out on a salt water type chlorinater ? A sand filter and a salt chlorine generator are two different things that do different jobs. Sand filters like the cartridge and DE filters, remove dirt particles and other debris from your pool water. The salt chlorinator sanitizes your water, adding chlorine to kill bacteria. For a healthy pool, you will need a filter and a sanitizer. I’m planning to convert my chlorine pool to salt water pool. I will like to DIY plan. Do you have a complete plumbing system starting from the pump all the way to going back to pool. This will consist of pump, filter, heater, salt water / chlorine generator, and necessary valve. I have 1 skimmer and 3 water return line. My pool size is approximately 20′ x 40′. The dept varies from 30″ to about 120″ . We do not have whole pool equipment kits on (www.InyoPools.com) but we can work on a quote for your pool install. Give us a call at 407-834-2200, please have the general specs of your pool and if possible info on your current equipment. The cost is dependant on the model of salt chlorine generator you use, and the required salt dosage to reach the correct pool salinity level. You do not need drain your fresh water. Simply add the recommended dose of salt according to the SCG’s manual. So once I determine the amount of pounds (bags) of salt I need to add, do I add it all at one time (you say to broadcast the salt all over and run the filter for 24 hours)? That seems like a big pile up of sale on the plaster (we have new plaster (6 months old). Thanks for your help. The article is really helpful. Most builders recommend to hold off converting your freshly plastered pool for the first 30-60 days. Since you are 6 months removed from the replastering you should be good to go. But call your plaster company to make extra sure. Yes, you would pour all the salt in at the salt time. I would pour a couple bags in, mix the salt until it dissolves then add the next few bags. Hello Sir – I have a 13,000 gallon in ground chlorinated system fiberglass pool. The information on your site for converting from chlorinated to salt system has been extremely helpful in my decision making process. One question i wish to make sure i understand correctly is this – Do i have to drain the existing “chlorinated” water or do i just add the required amount of salt at start? No, you will not need to drain any pool water, because remember, salt pools are still chlorine pools. Any residual chlorine will not affect the cell. Just add the recommended amount of salt. Yes, you can convert a vinyl pool to salt without much issue. The salt concentration in a pool is only a tenth of what you would find in ocean water, so it won’t harm your liner. To prevent any issues with scaling, I would suggest using a dose of descaling agent like ScaleFree once a month or whenever needed. The only other concern is not with the liner but the liner’s coping. Make sure your liner coping is is either aluminum or painted/coated steel to prevent corrosion. We have an Intex above ground 18 foot round pool. I want to convert to salt. Will the salt work OK in this pool? What type of Intex pool is it? A soft-sided or a steel wall? We just purchased a home with an inground pool. The existing filter is charcoal. Can we convert to saltwater with this type of filtration system? we have been told we have to switch out the filter to DE or sand before we can convert? Hello. I have an above-ground pool with a vinyl liner. It’s 24ft in diameter, 5ft. deep (almost 17 thousand gallons). What kind of salt water system can I get for it? It’d be awesome if there was one I could hang on the side of the pool. If I have to get one to plumb into my current Hayward pump and sand filter setup, what’s the cheapest I could get one for? Also, I only run my pump about 3 hours per day to keep my electric bill from getting insane. Would I have to run it more with a salt water system? You can keep the same pump, converting to salt would not affect your current pump. To be cautious, you can upgrade your pump’s shaft seal to the saltwater version. Also, if your above ground pool is all steel, I do not suggest making the conversion. Resin and some hybrid pools are the preferred types to use for salt installations. As for what you would need to do to convert to salt, it is all covered in the article. We have a seasonal outdoor pool at the country club where I work. It has over 200,000 gallons of water. It’s an older pool with older equipment and only open summer seasonal. What is your best ballpark estimate of the cost to convert to salt? I get asked this all of the time. Any reply would be extremely helpful. Thanks! My ballpark estimate on how much it would cost to convert to salt for you would simply say “a lot.” Commercial units themselves are pretty hefty but with you being on the high end you will either need link together several systems or get one that can have a multiple cell array. A system that has a multicell array is the AutoPilot Pool Pilot Professional. You would the six-cell system at least, here is the sizing guide. The AutoPilot would probably be your best bet. Hello, I have already put chlorine in my pool can I switch it to salt ? Yes, the presence of chlorine will not affect the salt generator. Can you convert a pool to a salt water at any time? If I’m opening my pool with traditional chlorine can I switch to salt after I let those chemicals dissipate? Or is it better to install a salt system at the beginning of a season? You can convert your pool to saltwater at any time. The only restrictions that I know of, are with freshly resurfaced pools. For example, newly replastered pools should not be converted for 60-90 days. What about repaint? We’re not replastering but will be repainting it. Sorry if this was already covered. Do you have to drain the chlorine water when converting to salt? Also we have dolphin robotic premier cleaner, do we need a salt water specific cleaner? Whoops I see part of the answer in the previous post. Lol sorry. No and no. Pool cleaners wouldn’t be affected by the salt. Thank you for the very informative article. We are purchasing a house with a chlorine pool in a few weeks and want to convert it to salt water. What equipment do you have to buy for the conversion? Do you recommend getting a pool company to adjust the chemical balance in the chlorine pool before you start the conversion? Also, how is a salt water pool managed? How often do you check the balance in the pool or is this something just for chlorine pools. My husband and I have no clue, we just moved to AZ and are total amateurs. We do want to have a salt water pool. Any advice for two amateurs and how to approach this? It’s weird that you thanked them for the informative article, but obviously didn’t read it. All your questions are answered in the thing, for cripes sake. I’ve had a Pentair in line salinator since last year which was working fine. Have had a heck of a time getting my pool opened this year. I’m pretty disabled and rely on my pool guys, but my brain still works pretty well. It was constantly white and cloudy and for weeks I asked them to check the screens in my ancient Hayward pump. Though it came with my house…25? Years ago, I know that holes in screens leak DE. Anyway, had replaced screen enough times and the manifold was also decrepit so I have a new Pentair filter. As expensive as the inline salt thingamajiggy was that generates the chlorine, I’d think it would have a saline readout! As the water passes through. Lots of other zingy green lights like “flow” and what level you want to run it at. If salt is low (but I don’t know how low!). Would there be any point in running it at a higher percentage. Low could equal zero, since the strip shows zilch, zero, no color change. I know those aren’t accurate, but I’d think they are ballpark. I don’t want to over-add salt. What do you think? It’s VERY hot here in Virginia. I also don’t have any shock. I guess I can see what can be delivered. Hello Monk – the only way to test your water accurately is to get a free test at a local water store or get a good saltwater test kit. Remember, measure twice and cut once, so always know what you need before you start adding stuff to your water. The test strips you have now could be fouled in some way. Or because you have a DE filter, backwashing could have lowered your salt levels. But the first move is to test your water. Hello. We have an 18×36 chlorine in-ground pool in upstate NY. We would like to convert to salt when opening this season. However, we always have algae/chemical balance issues which take a few days and a lot of chemicals to clear up. Will we still have to go through this process and then convert to salt or might there be a different way to handle things. Thank you in advance! I would convert to salt after de-greening the pool. I’m sure the saltwater chlorinator could handle it, but I owuld let it start with a clean slate. Plus, if you have to do a lot of backwashing, you are wasting a lot of salt; of which, you will need to add to compensate for freshwater. Look at it this way, if you just got a new truck would take it muddin’ right away? Nah, I would break it in first. There is no reason to test the limits of the unit right out of the box. Matthew – I too have an Intex pool this year which came with it’s own pump, hose and attachments. Wanting to convert over to salt water, I now purchased a saltwater system with ECO off Amazon in hopes that is all I would need (other than the salt). It appears too easy to be true that this is all I would need. I live in a rural community and the closest pool store is 100 miles away. Any help would be appreciative! Honestly, follow the directions that came with the box or read the second half of the article and it covers the basics of installing the chlorinator. As Patrick covers above, it is a relatively easy depending on how handy you are. Eco is not a brand Inyo Pools carries, so I do not have much experience with it. But I know they are supposed to be simple to operate. Great article and blog. Hopefully I’m not repeating a question. I have a 25,000 gallon inground pool with a vinyl liner. For the conversion to salt system, does the chlorine generator work on the timer I have my pump on? I run the pump 11 hours per day. How often do you have to add acid; for example, I can go away for close to 2 weeks now without worrying about anything because the chlorine tabs in my CL200 will last that long, and pH is very stable. I want to be sure not to salt up my solar panels. Thank you. Once the CYA is in the pool, it doesn’t leave the pool unless you drain the water. So, unless you have an overzealous pool boy who really likes long backwashes while you are on vacation, you should be fine. Hello, good article. We have a 27′ round above ground and we are constantly fighting with algae. Right now my pool is the same color as my lawn. Considering converting to salt. Do I still use my sand filter? Do I need to add shock on a regular basis? But seriously, I am not too familiar with that genre of pool equipment, making a compare and contrast difficult. You may want to try posting this question over at the pool forum (www.TrobleFreePools.com). There are a few people that can help you with this solar pool pump question. Sorry if this has already been answered (I didn’t have time to scroll through all of the posts), but can you convert to salt with a vinyl liner? If so, do you get more life out of a liner using salt vs. a traditional chlorine system? Thanks! A common concern is whether the area around your pool will be damaged by converting to salt water. Probably no more than it would be affected by chlorine. Metal pool furniture and fixtures may suffer corrosion over time, so it s best to avoid those materials, if possible. I have an intex above ground chlorine pool that is approximately 15000 gallons, i would like to convert it over to a salt water pool. I am getting ready to open it for the season. It’s had chlorine in it all winter. do i need to drain the pool to remove the chlorine that might still be in the water? Can i use the same filter and pump that came with the pool? I would like to switch it over as easily, quickly and inexpensive as possible (if it’s possible). Any and all advice/help would be GREATLY appreciated! Thank you for such a great forum/blog!